The tour begins in Selong Belanak Beach in the southern part of Lombok. Selong Belanak Beach has pristine white sand beaches, offers opportunities for marine sport activities such as surfing, diving, sunbathing and fishing. We then continue to Mawun Beach, about 20 minutes drive from Selong Belanak Beach. It has a great view and the wave is very calm for snorkeling. After enjoying a beautiful panorama of Selong Belanak and Mawun Beach continuing onwards to the most beautiful Kuta Beach on the south of Lombok where Bau Nyale ceremony is held every year which normally fall in February. The local people join together at dawn to catch sea worms. Afterwards visit the traditional and unique weaving village of Sade, a good place to learn about how the Sasak community get married in a unique ways called “Merarik” and to perceive local people doing their daily routines. 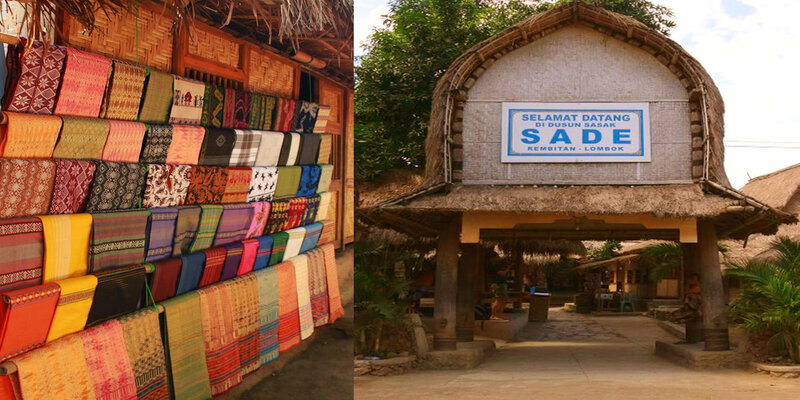 Next stop is Sukarara Village to see songket weaving costume, Sasak cloth weaving and handicraft. After your Sasak tour experience, you will have time to relax and watch a spectacular sunset view in the evening at Katamaran Resort. Duration : 8 hours – Departure from Hotel at 09:00 am. Include : Insurance, Local Guide and Cool Box.